QSC. These audio sleepers are starting to reinvent the way we see powered speakers. 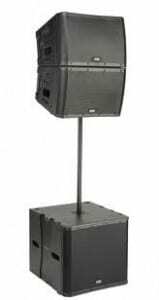 When I say powered speakers at my job, people immediately think of Mackie or Behringer, sometimes EV, but nothing like the QSC brand. The throw on the K10’s…amazing. The fat, juiciness of the K sub, delicious. The portability of the K12 (or all the above) with its sound quality, amazing. But there remains a small in between gap for small production companies and medium size shows. 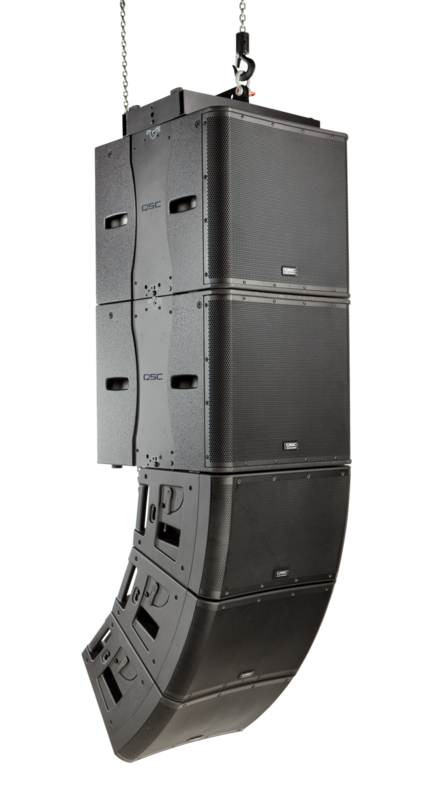 When you stand there and go “Well we could ground stack powered speakers, but that takes up room. 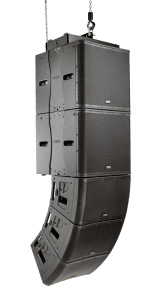 We could fly speakers, but then we need motors and safety and amps, which will take up more room.” Lose lose, eh? NOMORE! I present to you, the KLA series from QSC. You can stack or fly these powered boxes. YES I SAID STACK OR FLY POWERED BOXES. You don’t know what to do now, do you? Say you aren’t sure of the venue situation, bring a few KLA boxes and decide on the spot! You can stack up to 5 boxes on the pole above the KW181 (the sub partner to the KLA) , or you can fly as many as needed. The rigging is so easy, a 6th grader could do it. Lets get to the nitty gritty, shall we? But JP, what about the sub? Can you fly that too? What about those specs? Sounds pretty neat, huh? Well, they sound phenomenal! Stop in to your local Guitar Center to try them out! Or better yet, just take my word for it!